Only 3 more days, only 3 more days…. Yes, we only have 3 more school days left until it’s ‘officially’ summer. AGH!!!! Please tell me I’m not the only one freaking out over here! I guess I need a little help getting into the right mood for the coming months, and what better way than a fun printable? And yes, let’s get all seasonal and do a Summer Subway Art Free Printable! Don’t know about you, but I associate summer with bright and colorful. Playing around with all the fun things about summer as I made this Summer Subway Art actually DID get me in a better mood. Thank goodness, because ready-or-not-here-it-comes! 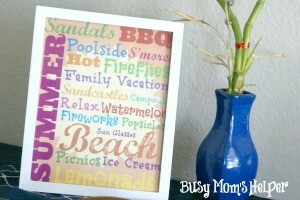 Nab your fun free printable and add some summery color to your decor! Mine really helped spruce up my piano top…. although please ignore the dim lighting, it’s not the best-lit angle in the house! Every year I try to make summer fun and get to everything we want to do, but we just never seem to fit it all in. This summer, though, we decided there were things we just HAD to do….and we made it ‘official’ by creating our Customizable Summer Bucket List! One more week. That’s all that’s left of school for my 2nd grader, and I absolutely cannot believe it! Not that having one extra kid home, added to the 3 already here all day, is going to make a huge difference, but for some reason school being out changes the whole household atmosphere. SUMMERTIME! It’s like a switch flips in the kids and suddenly it’s swimming, bubbles, bikes, late nights and MUCH more chill-axing schedule. Here’s some of the insanity fun we have coming up the next few months, proudly displayed on the fridge! I feel totally unprepared for school to be done, but at least this list gives me some ‘organization’ to the summer chaos. 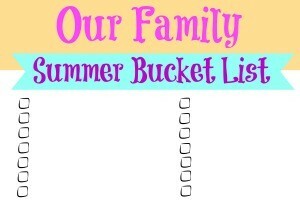 Nab your Free Printable Customizable Summer Bucket List now! 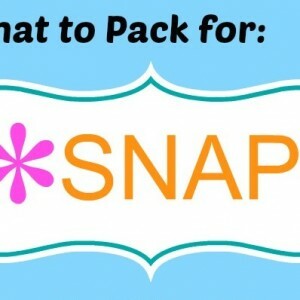 Here’s a HUGE list of some summer fun to help you make your Summer Bucket List! There’s so many more, but that should at least get you started. Happy Summer, y’all! It’s that time of year again. The time when you get lots of announcements of those lucky ducks finally leaving school and heading on to ‘adulthood’. This is all exciting and great, sure, but a problem arises: what gift to give? Well, I’ve got you covered with this fun and stylish Graduation Gift Bottle Set, with Free Printables! 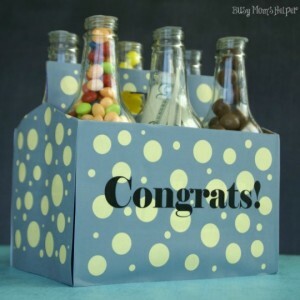 Whether it’s a neighbor friend, childhood buddy, sibling or other relative, this Graduation Gift Bottle Set is totally changeable. Each bottle label has different fun things you can fill the bottle with (unless you feel like leaving it as soda…that’s totally fun, too!). Here’s some DOUGH to get you by! – Add some bills, $1, $5, whatever! If you’re not keeping the soda, make sure the bottles are emptied, washed, and dried out completely. Cut out the Printables. Tape or Glue them to their appropriate place on the bottles and box. Fill with the treats and/or money you choose. This post is part of the Craft Lightning fun by The Country Cottage Chic and 30 Minute Crafts. 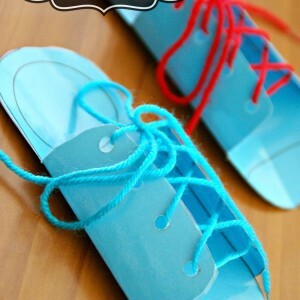 Go check out other amazing crafts you can do in 15 minutes or less! I don’t know why, but my kids are REALLY getting into the Easter fun lately. They keep talking about eggs, their baskets, and asking all sorts of questions about the Easter bunny. With all the jibber-jabber, it’s hard for me to ignore the fact that it’s fast approaching. Ugh! One of the things that’s a long-standing tradition in my family is an Easter Scavenger Hunt. Who doesn’t love searching for eggs or other little surprises, huh? Every single year in my youth we did a HUGE Easter Scavenger Hunt. I’m not talking each kid had a few eggs to find, I mean we all had DOZENS of candy-or-treat filled eggs to search for. We looked forward to it for months, and there’s many happy (and funny) memories involving those times. One of the difficult things with scavenger hunts is keeping it simple enough that even my 2 year old can pitch in the search. My sweet sis-in-law put together a few cute poems that are fun-yet-simple enough that all ages can join in! Wonder Woman reads them aloud, then they all assist with figuring it out! This isn’t exactly how we did it growing up, but for us this is a grand old time! I’m not sure what your household does, but we try to avoid too many treats (I make enough suger-filled snacks already). Instead, I try to nab simple-yet-cute-and-budget-friendly surprises such as toys, games, coloring books, crayons, and things like that. Plus, it keeps them busy AFTER the hunt is over…BONUS! Sorry this is a little late getting up, guys, but better late than never! 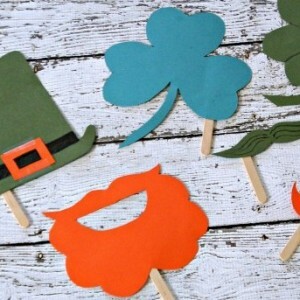 We had so much fun posing with our St. Patties Day Photo Props, the kids didn’t want to stop! Now you can print out the shapes to make your own fun, little photo booth for your family, a party, or even for a silly dress up with the FREE Printable shapes! Since Superman’s favorite color is orange (like he’s seriously obsessed with it…he assumes everything orange is his), his favorites were the mustache and beard! Notice the ‘kissy lips’ through that puffy beard…who wouldn’t want to kiss that cute?! Wonder Woman just had a blast cheesing it the whole time! My little superstar, she wanted to try Every. Single. Prop! I have no idea what’s going on with Batman’s ‘uni-brow’ here, but he’s cute enough to pull it off. And the top left…he just couldn’t believe the fun, the little nut! And Green Lantern was just plain adorable…even when he starting chewing on the hat. What a pill! We had such a blast with these props! I think we had even more fun than we did with our Valentine’s Props! Feel free to print off these pages, then use them as stencils on colored paper to create your own fun St. Patties Day Photo Booth Props! Just attach some popsicle sticks (I used mini ones and they worked great), then they’re easier to hold without blocking part of the prop in the pics. Lots of green, orange and rainbows!!! What are some fun photo booths YOU’VE done? Any favorites? Do you remember how you learned to tie your shoes? Ya, me neither. Maybe the bunny loop hole thing? Or like on Shrek Forever After ‘into the dragon’s keep’? No matter how we learned, it’s kind of an important thing. For most, at least. When Wonder Woman needed to learn to tie her shoes, I seriously had the hardest time teaching her. I didn’t know how to explain what I just….DID. When I thought too hard about it, I couldn’t tie my shoes! Ugh, it was awful. Then these cute little cut-outs happened, and she learned to tie her shoes So. Dang. Fast. LOVED IT! And when she had no-tie shoes for over a year and needed a bit of a refresher course, out they came and she fiddled with them until she caught on again. Now YOU can get these little cut-outs for your little (or big, whatever) ones to practice with, without causing where, tear and frustration to their actual laces! All you need to do it print out this page onto a sturdy material (or flimsy, just laminate it). Make sure you size it to ROUGHLY their foot size. Doesn’t have to be perfect, by any means. Not like they’re going to walk around in them. Cut it out, laminate if desired, and use a hole punch over the dots for the lace holes. Get some yarn (or laces, if you have them and want to), and treat it like a shoe! The side flaps fold right up over the foot, so they get the real feel and angle of shoe tying. Okay, so I’ve been dying to share this with you, but wanted to wait until my printed and bound planner arrived. FINALLY it came!!! Seriously, LOVING IT!!! 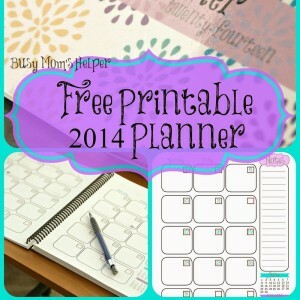 Without further ado….my Free Printable 2014 Planner! I wanted it colorful and fun, and it definitely turned out that way! Since I’m always searching for a paper to jot down a quick thought or note, or just to doodle while I brainstorm, I included a Notes & Doodles Page. I like breaking things down, so for myself I did a 2-page spread task list that listed all of my daily tasks for home and blog, then left some empty spots for customizing day by day! This one I made just for my own binder, but still feel free to download and print it, if you’d like. Although I do my major shopping once per month, I do minor (milk, bread, etc.) about weekly, plus other shopping things….so this page for a Shopping List is great! Another budget saving thing I do is buy clearance clothes in larger sizes for my kids for a large discount, then save them to grow in to. One problem with that, is that I forget how much of what I have, and have ended up with twenty tshirts for one child before….definitely not my intention! So this fun Clothing Tracker will help me track who, what sizes, what item, etc. And, of course, with my planner always nearby, it’s great to have a page or two of Important Contacts! Since I’m constantly brainstorming ideas for blog posts, I inserted some pages of Blog Post Ideas into my planner. I love having a single place I can track my monthly Blogging Stats, too! Now you can grab my Free Printable 2015 Planner, with prints beginning for August 2014 for those that plan ahead! 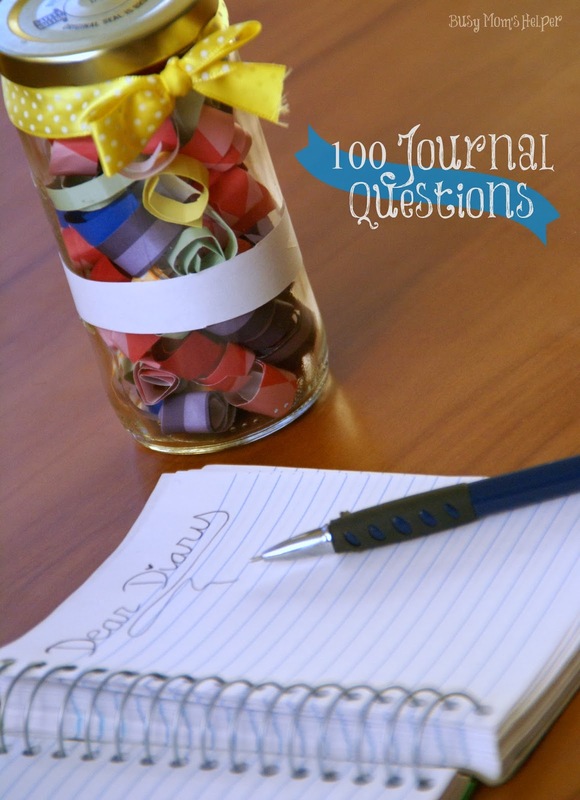 Do you keep a journal (or diary, if you prefer that term)? I don’t, although I know I really should. It’s ridiculous the different things I’ve forgotten, that I wish I had written down somewhere. That’s one thing I want to try to do better this year. Even if I only do a few sentences a day, or a page a week, that’s still something. My biggest thing is the ‘moments’. Like the funny things my kids say or do, that I swear I’ll never forget (and then do). Or the sweet things my Hubby does for me. Or people I meet. There’s so much ‘little’ stuff that I want to remember. 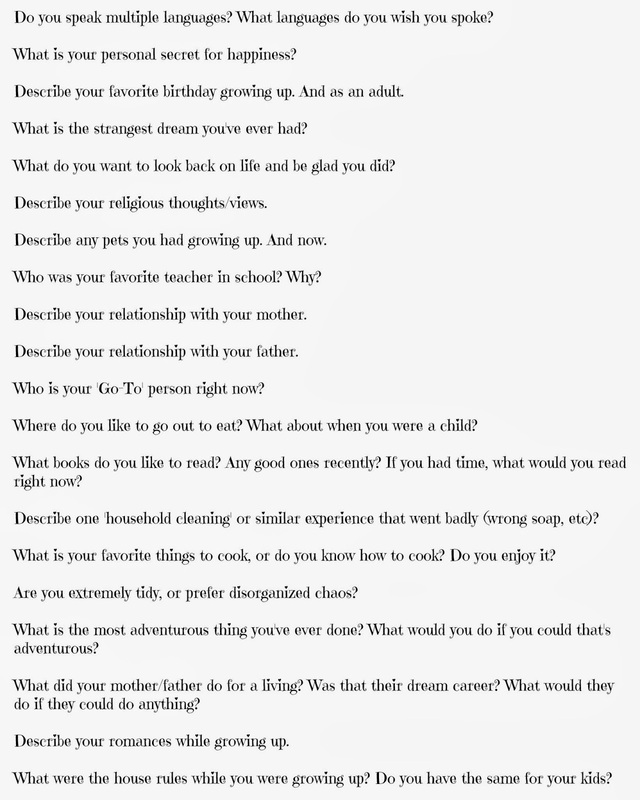 If you need some help coming up with something to write about, here’s some help! 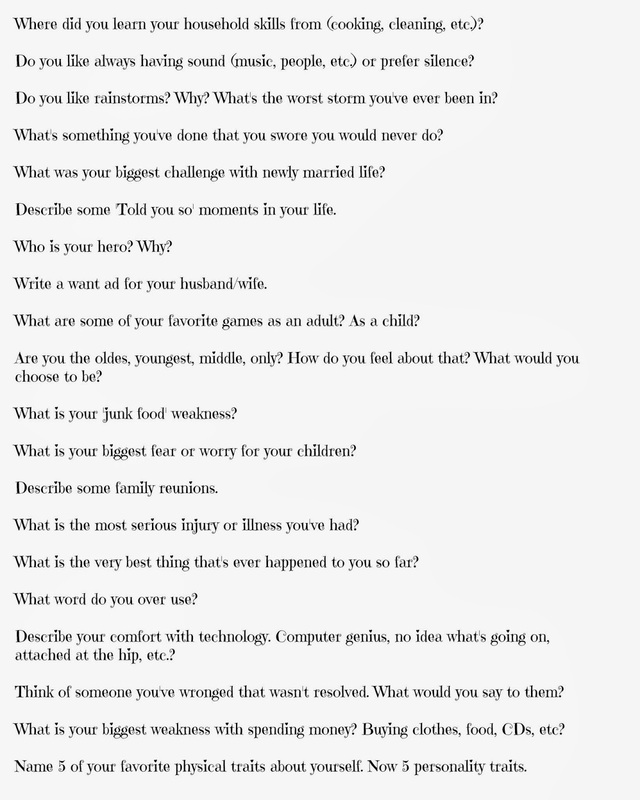 These pages each have 20 questions or prompts on them, to help you as you record your life and thoughts. 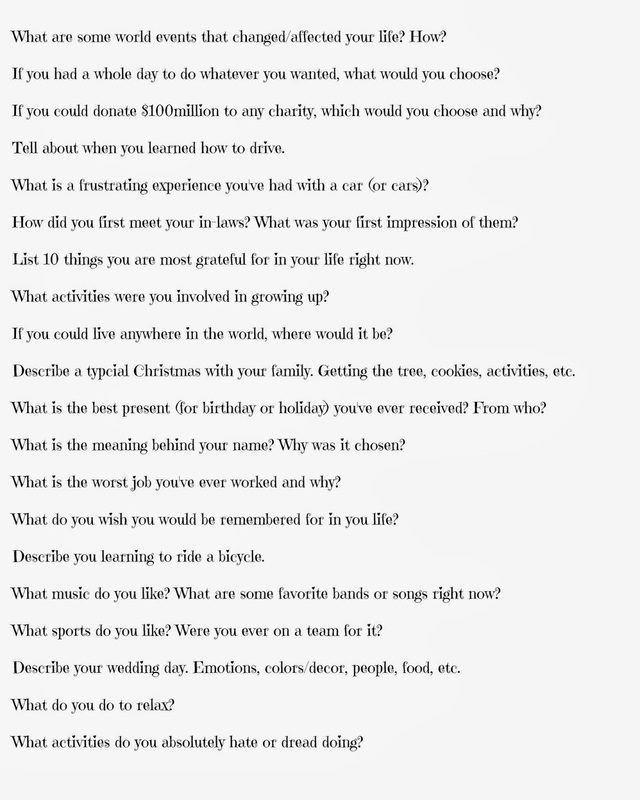 That’s a total of 100 questions, so should last awhile! They’ve been made boring white, but that’s so you can doodle, or print them on fun colored paper, if you want. 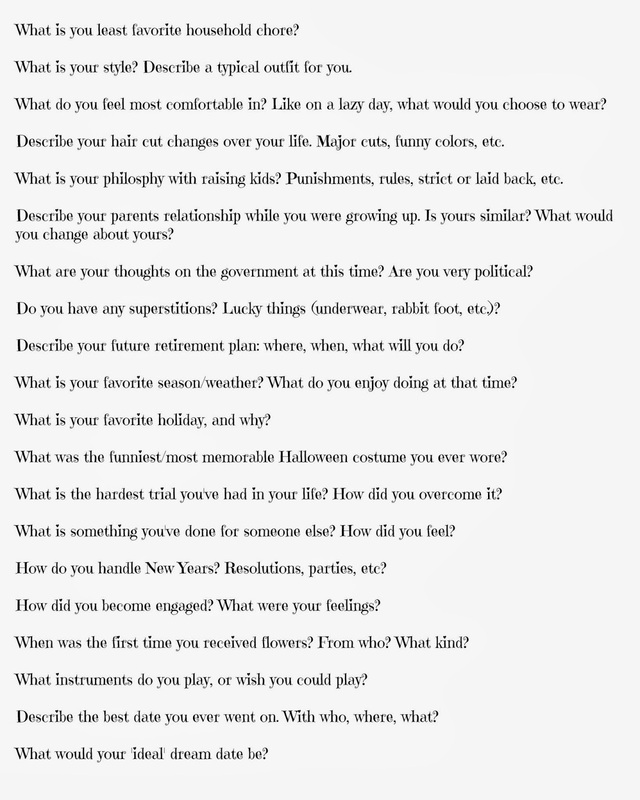 There’s enough space to cut out each question, then you can put them in a fun jar and just pull a random one out every time you need a little ‘push’ for your thinking. Yes, some are totally random and seem strange, but sometimes that leads to the most fun memories! You never know what it could spark, or what little tangent it could lead to. That’s the fun of it! Happy New Year Ya’all!!! I am so excited for this coming year, and have every intention of making it the best one yet, in many aspects of my life! One thing I really want to do is FOCUS myself…..make specific goals and work like crazy to reach them. One thing I’ve heard over and over when it comes to setting yourself up for SUCCESS with your goals, is to share them. Make it so you’re held ACCOUNTABLE. 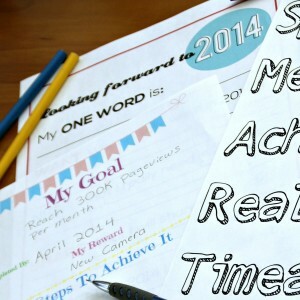 So here’s me sharing my goals for 2014, to all of you, so I can be held accountable by someone (or many someones) – as well sharing some fun FREE Goal Printable Sheets! 1. 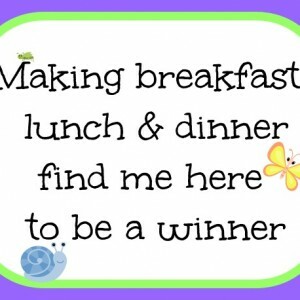 Build Busy Mom’s Helper into a full time career, so I can get my family out of debt faster. With student loan debt and such, we’re budgeting as well as we can to bring ourselves out of debt. One of the biggest helps to that, and that will assist me in being able to stay at home with my Kiddos, is to have this blog become my career, with the income to allow that. 2. Exercise at least 4 times per week, and lose 15 pounds. Yes, I’ve had four kids and will NEVER have my pre-baby body back. That’s okay. I DO want to be HEALTHY and STRONG, though, and at the moment I’m not. I need to fix that for my own sake, as well as my family’s. 3. No yelling at my kids. At all! Many of you probably laugh at this, and honestly I do, too. This is a serious goal, though, and I know my family will benefit immensely if I succeed. Even if I can only make it MOST of the time, that’s better than not trying at all. 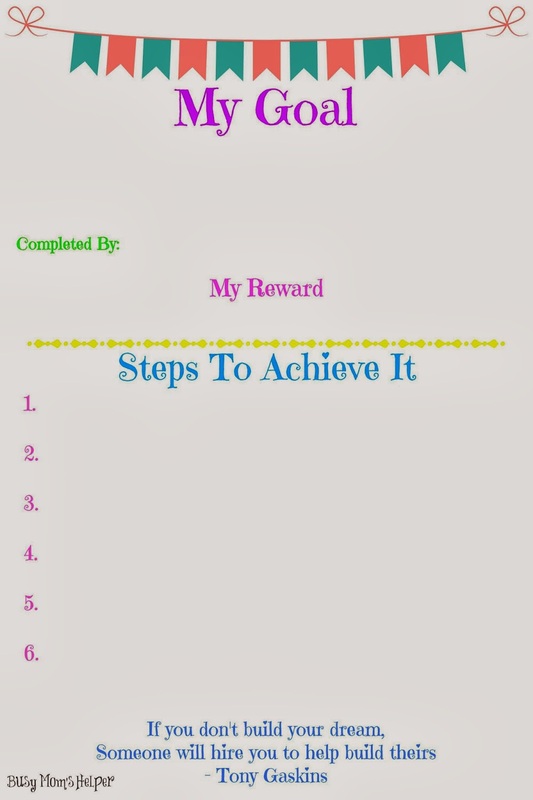 Now for some fun printables to help us TRACK our goals!!! This first printable is a fun sheet to remind us of what MAKES a goal…it must be Specific. Measurable. 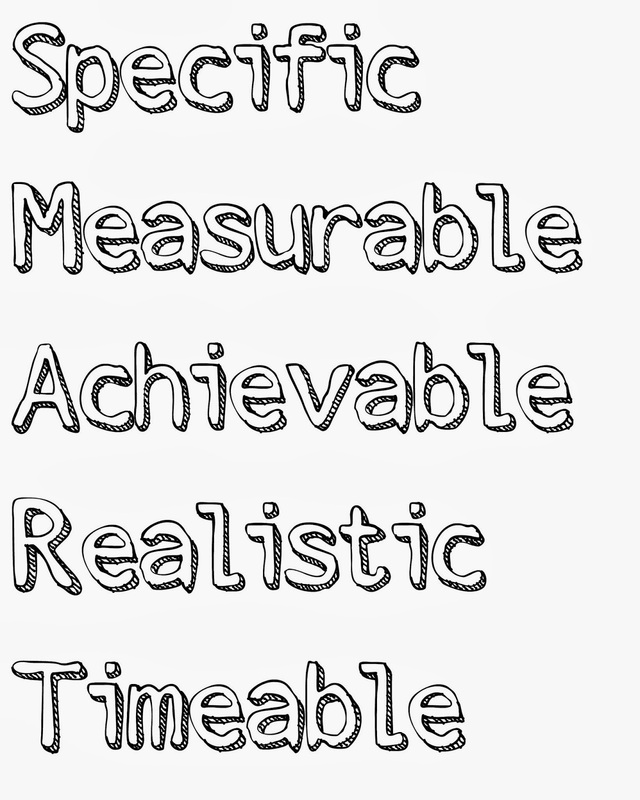 Achievable. Realistic. Timeable. SMART!!! Notice how it’s not colored – so while you’re brainstorming your goals, you can color and doodle – that’s what I did!!! Now here’s where you can actually WRITE out your goals. I like being very specific, including steps so I don’t feel so overwhelmed and not knowing where to begin, so these are made for ONE goal per page. I even put a spot to list a REWARD for when the goal is reached. 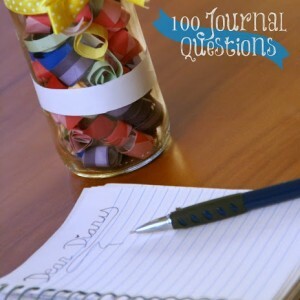 Not sure about you, but I do my best when I’m working towards something, like a new camera, or some fun bloggy supplies. 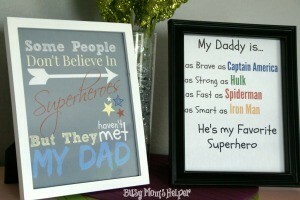 The other printable you see in the top photo is a really great one that I found over at 30 Handmade Days. She’s actually got several fun printables for the New Year, including some for your kids – go check them out!!! One thing I really enjoy doing is making themed family nights based on movies we watch together. Remember our Monster Party from this summer, before we went to see Monsters University? That was so much fun! The kids love things like this, and it’s definitely something that can bring the whole family together laughing. 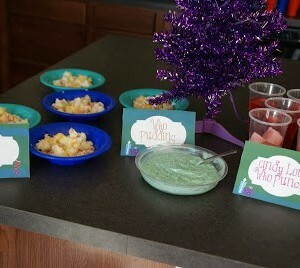 So I decided to do a How the Grinch Stole Christmas party! I love the atmosphere of happiness, fun and love at Christmas-time. Now, I’m not talking the atmosphere at stores such as Walmart, where everyone is cranky, mean and in a hurry. That’s just horrible anytime, especially this time of year. I’m meaning the kids excitement, the counting down fun, and bright lights that put a smile on your face, giving to others, extra opportunities for serve – all of that just really lifts me up out of my normal slump. It’s WONDERFUL! 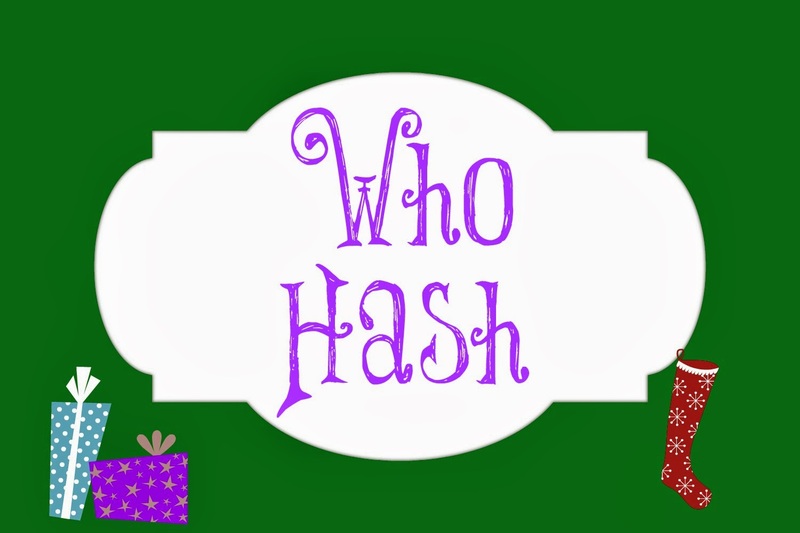 For ‘Who Hash, we did mashed potatoes mixed with ham bits and cheese. 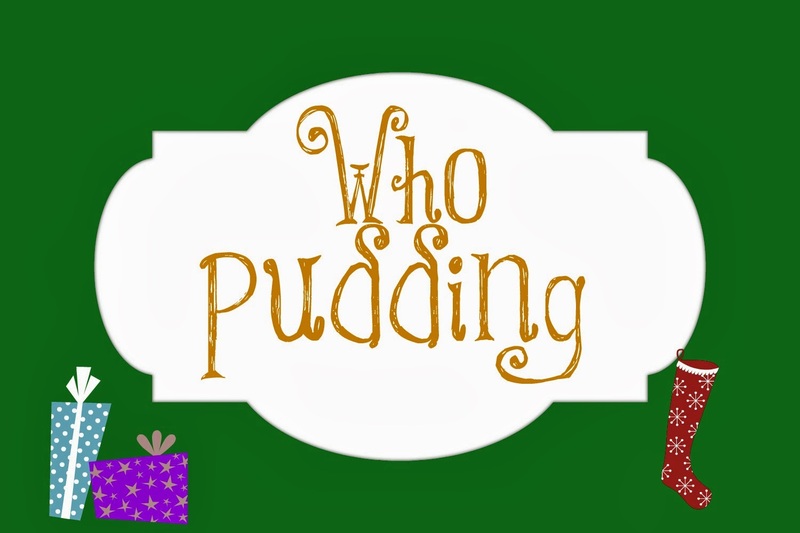 Who Pudding was simply Tapioca pudding turned green. Thinking back, I would’ve done it red. 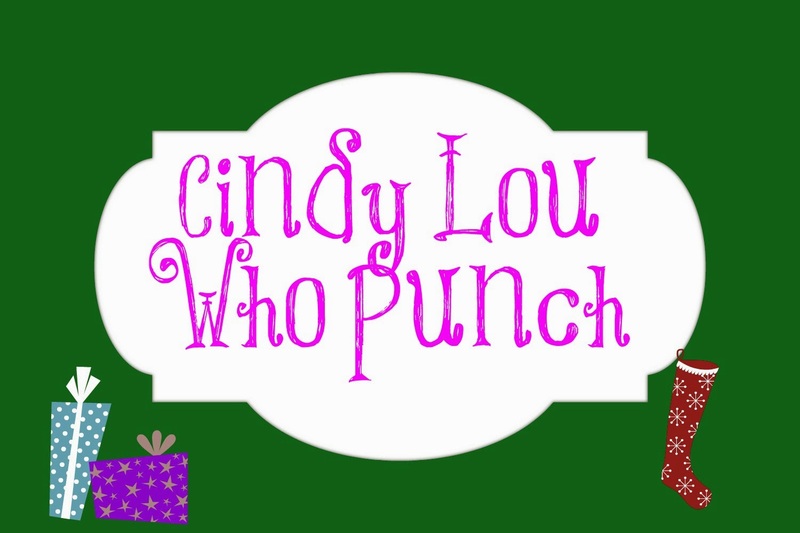 Our drink was a pink-red Cindy Lou Who Punch. Simply some juice ice cubes in Cherry Pomegranate Crystal Light. 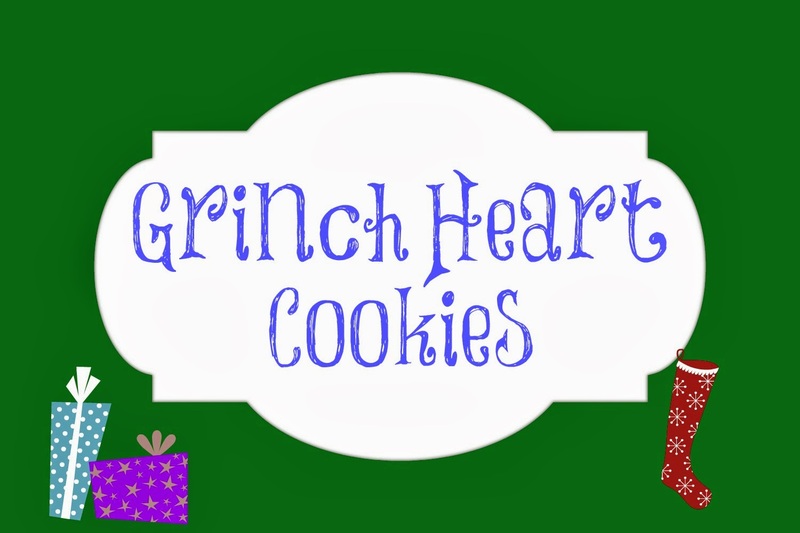 These Grinch Heart Cookies were just fun. I didn’t do them in heart shapes, but the cookie itself is pink (heart) and the cinnamon-sugar outside is green (Grinch fuzz, or whatever). Simple Snickerdoodles! Want to print your own cards? Here’s some fun printables for you! 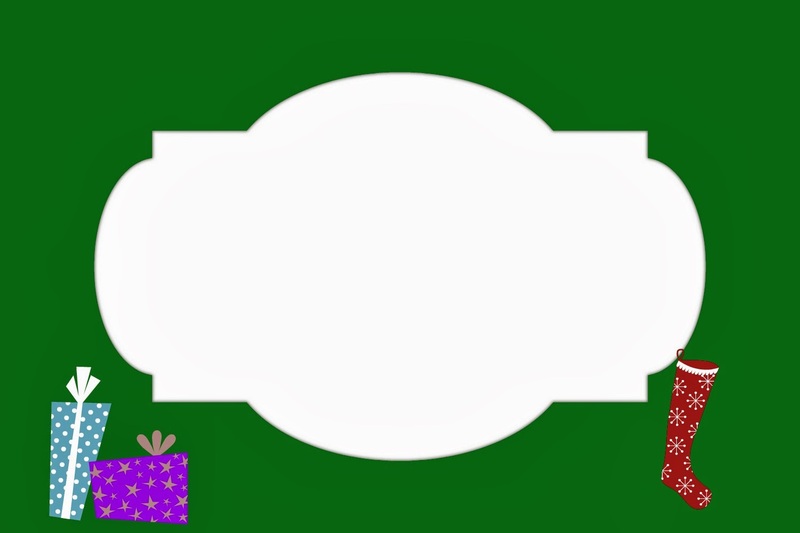 I included an empty one, so you can fill in your own little meal name! Needing something quick and simple, we did these coloring pages. Most of my kids LOVE art activities, so it was a winner! I even added this fun poem I found online (don’t know the source, but know that it wasn’t me that came up with it)! 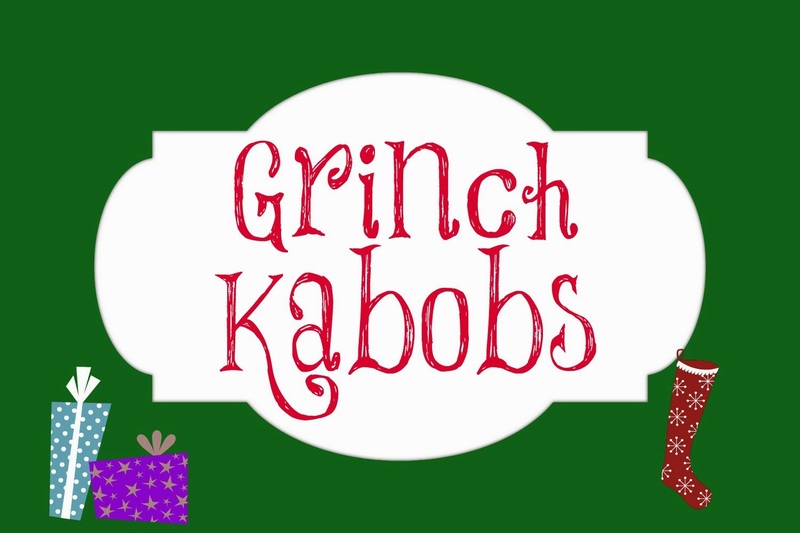 Want some other fun Grinch Party Ideas? 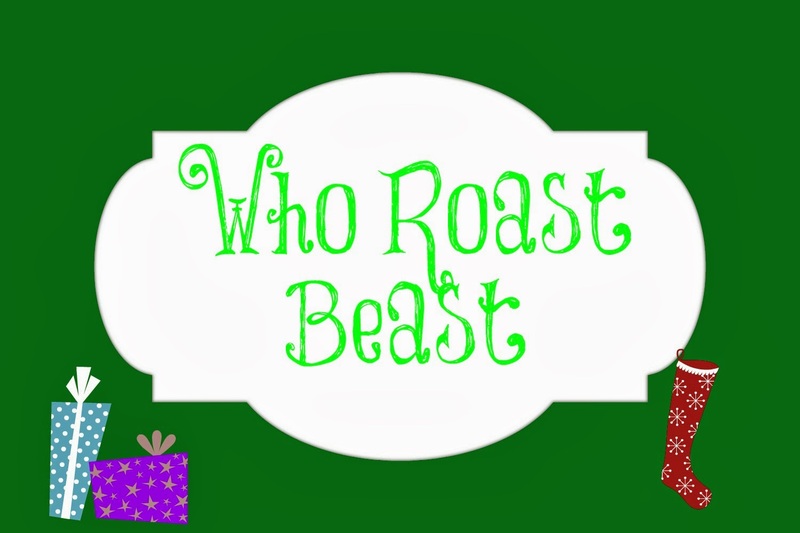 These two amazing blogs share some fabulous Grinch-ness!! !